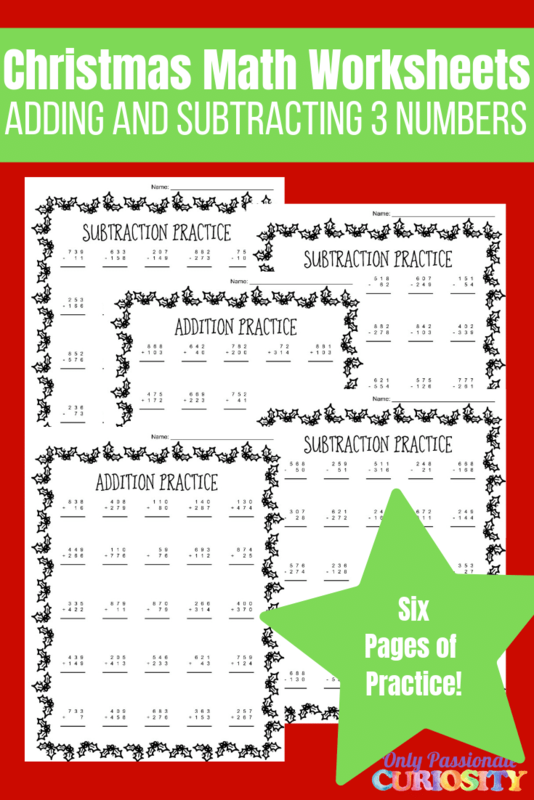 The next pack in our Christmas math pack series is adding and subtracting two three-digit numbers. There are six pages in this pack, with answer keys provided. Each page has a fun Christmas border to make math a little more fun (let me know how that goes over with the kids, haha! ).